Mountain View, Calif., Oct. 9, 2014 — Tintri Inc., the leading producer of smart storage for virtualization and cloud environments, announced today that TMC, a global, integrated media company, has selected the Tintri VMstore T600 Series as a 2014 Cloud Computing Storage Excellence Award winner presented by TMC’s Cloud Computing Magazine. The Cloud Storage Excellence Award recognizes companies that have introduced or improved cloud storage solutions. St. Louis, MO, June 16, 2014 — Intelligent power management provider, Enlogic, is bringing the most innovative data center technology to North America with the help of its strategic partners. Having gained a strong foothold in the European and Asia-Pacific markets, Enlogic is now ready to help North American data centers to increase energy efficiency, save money, and enhance reliability. Oakland, NJ, February 24, 2014 — PTS Data Center Solutions, a turnkey solutions provider offering expertise in IT, cabling, and facilities, relocates its headquarters to 16 Thornton Road, in the McBride Corporate Park in Oakland, NJ, 07436, to facilitate its growth and expansion in a wide array of services available to its customers. 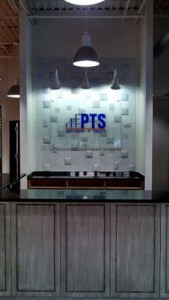 After almost 15 years of operating out of Franklin Lakes, NJ, the PTS companies including PTS Data Center Solutions, Inc., PTS Information Technology Solutions Group, Inc., and PTS Design & Engineering, Inc., relocated its headquarters to a completely renovated 45,000 square foot facility located in nearby Oakland, NJ. Whether it’s a server closet or a dedicated facility, a data center requires the right mix of IT, power and cooling equipment laid out so as to maximize efficiency while providing flexibility and room to grow. That, in turn, requires design and construction expertise, as well as the know-how to quickly turn the new facility over to customers. Just as important, in many cases, is expertise in finding, purchasing and prepping the right site for a new data center. The companies and individuals with such expertise, often the unsung heroes of the data center, are essential to getting data center projects started and making sure they are ready for move-in as expected. PTS Data Center Solutions specializes in the planning, design, engineering, construction management, commissioning, monitoring and maintenance management services needed to help plan, execute and operate data center projects of nearly any size. By Peter Sacco, President & Founder, PTS Data Center Solutions, Inc.
Like many other market sectors, the data center space ebbs and flows. The latest trend and forecast is that cloud computing and colocation are continuing to grow in popularity and one day, due to cloud’s promise of ubiquitous computer platforms, could nullify the need for company premise-built data centers or computer rooms. That said, this promise has lingered for some time now without being realized. In fact, at PTS Data Center Solutions, based in Oakland, N.J., we see a different, more recent trend.